This highly experiential training day will bring your team from successful to exceptional. Each participant will receive a personal MBTI® profile report, a group debrief to identify the strengths, motivations and ways of working that suit each individual in the team and the skills to communicate and operate at a higher level. Examining the individual and team profiling reports will provide valuable information and guidance for the team to capitalise on the different strengths present in the group, provide insight and understanding of the frustrations of some team members and identify ways the team members can work to complement each other. The second part of the workshop will address the skills needed to adapt behaviour and communication styles to different situations to get better results for each other and the business. 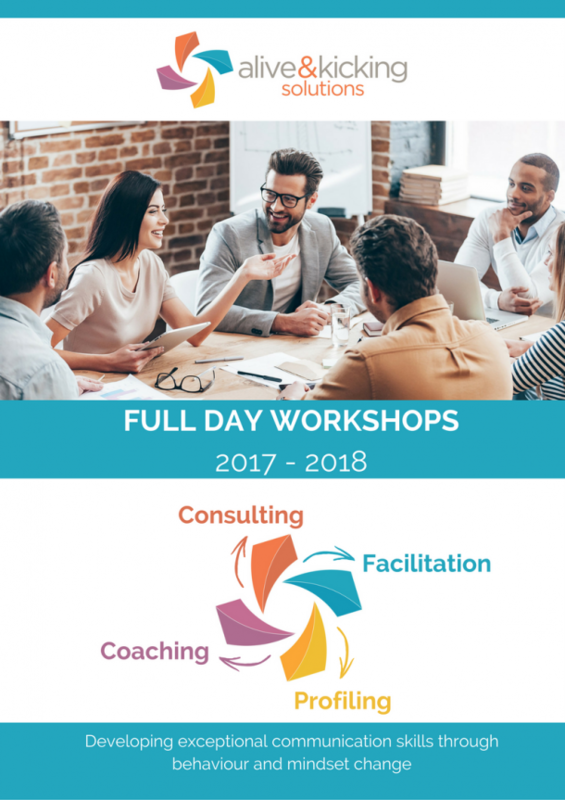 This workshop in conjunction with the profiling tool and our dynamic engaging facilitation will increase trust and collaboration, open communication, a sense of belonging, ability to express themselves and team harmony.